The first time I volunteered at a soup kitchen, admittedly it wasn’t really voluntary but rather expected of me. I became interested because of my high schools student volunteer program—a program that took students on mini class trips to participate at local organizations. I was sixteen at the time and new to physically helping out and giving to others. Other students in the program had told me the experience was fun, and they got free snacks as a reward for volunteering. It was also a good way to learn new skills, help the community and gain school credit. And it was a good excuse to get away from the last period of class. The first time I walked into a soup kitchen I was a little intimidated. I saw lots of people who were either working, or standing in a long line in the dining hall, waiting to be served hot meals. The line was so long, and I had never seen anything like that up close. The supervisor of the soup kitchen directed a group of us students to the back room. He was super excited to show us around and explain how important it was for young teens to understand the need of helping, and the importance of giving back to local communities, specifically lower-income areas. After his brief introduction, he then split the girls and boys into groups. The girls would help serve food, and the boys would stay in the back stacking canned and packaged foods. Since the boys group was short one person, I volunteered to stay with the guys to stack food. We took food out of boxes and stacked them on shelves for about 20 minutes before moving to another room to unbox and shelve again. We were given a tour of the room and it was full of donated items and goods for the soup kitchen—I was amazed. My high school always had food drives, but I never participated in them or saw how beneficial they were until I saw the amount of donated food in that room. After spending an hour stacking items, I eventually left the guys group to join the girls and help in the kitchen. As soon as I put the hairnet on my head, something lit up inside me. It was a rush of confidence and satisfaction—I didn’t just know I was doing something good, I felt it. My first experience was a truly a learning one. I knew that day wouldn’t be the last time I’d volunteer at the soup kitchen. For the remainder of the school year, every two weeks I would go to the soup kitchen and help. I met some amazing people from all walks of life there. Some of them had jobs, some of them were working class, some were homeless, some lived in shelters, and some were people who just lived in the area. The visitors weren’t much like I’d thought they’d be, and I learned so much from them. Every month I proudly put on a hairnet and served meals to those in need. They put a smile on my face. The feeling I got from giving back was like no other. I eventually left that school and unfortunately the program, but thankfully, I was still interested in giving a helping hand. The soup kitchen I became familiar with was not close by my home, and the following summer I wanted to find something to do since I wasn’t working. A neighbor of mine quickly referred me to a local soup kitchen at a church in a neighborhood just a few miles away. I went there one summer morning and asked to help. The people working there smiled and gladly welcomed me. I was in their soup kitchen every week, or as much as I could go to provide whatever assistance I could give. I didn’t come in empty-handed either; I came with canned foods sitting around my house that no one used. Sometimes giving back is as simple as just being available. I recall the supervisor of the first soup kitchen I went to explaining how understaffed they always were, and why they were highly dependent on volunteers and student participants. 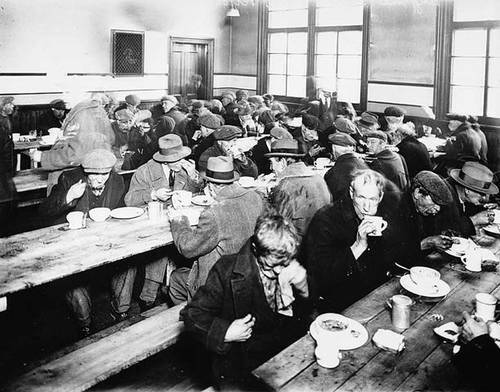 Soup kitchens have an important history in this country. They became increasingly popular during the Great Depression as there was a strong need for them. Many of them today are operated by churches and private or non-profit organizations, and their staffs mostly consist of volunteers. Once or twice a month when I find the time, I still volunteer at local soup kitchens and always come with a few items to donate. 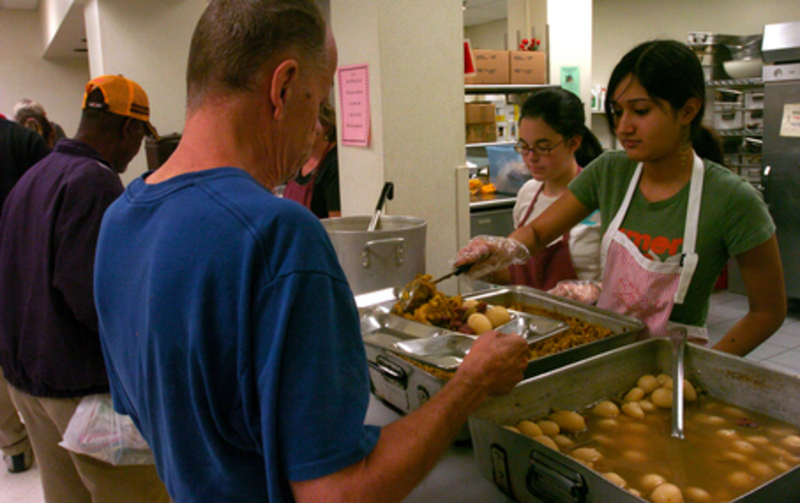 Help out today and find locations to soup kitchens in your area. When you find one, just walk in and ask how you can help.